If you’re trying to create a restful and tranquil atmosphere for a nursery, the artwork you put on the walls can go a long way to making it a reality. We’ve found a graphic designer with a beautiful range that’s sure to help. 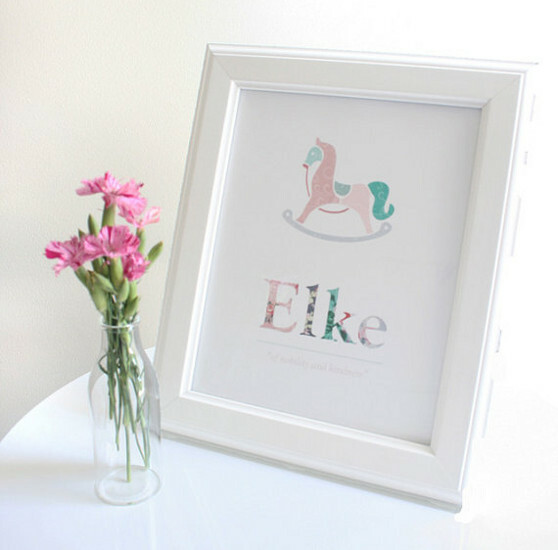 Emily Foote, the graphic designer behind the lovely range at Me & Em, has created a range of nursery decor big on soothing colours and with plenty of style. 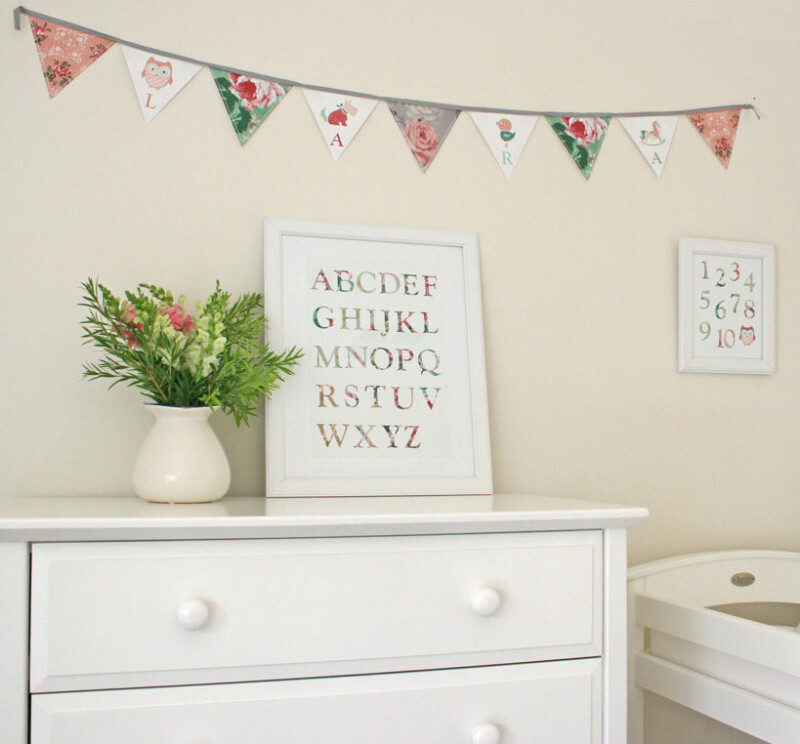 The range currently includes alphabet and number posters, name posters, height charts and bunting, and Emily hopes to soon add other decor to the range – cushions, sheets and linen. For the time being there’s plenty to look at – everything is printed on high quality stock and hand finished by Emily. Emily offers fabulous custom orders as well. Everything can be personalised, and if you don’t see quite what you want, or you need a little help working out your room inspiration, she can do that too. As you can see from the pictures, it all comes to life on a white background, but goes equally well with lots of other pastel tones. You can see the range and discuss your requirements with the designer at Me & Em. Prices for smaller prints begin at just $9.95.